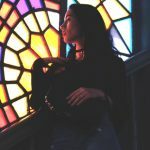 AsianDating.com (Asian Dating) - Is this dating site worth it? 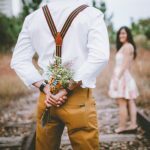 AsianDating.com (Asian Dating) – Is this dating site worth it? If you’re an Asian person living anywhere in the world or are someone interested in dating Asians, you’ve come to the right spot. Our team of experts has reviewed Asiandating.com, one of the leading online dating sites for Asians looking for love. In this comprehensive review, you’ll see the ins and outs of the site, the features offered, pricing, how the sign-up process works, and anything else pertinent that you might need to know to make a decision on whether or not this site is for you. As is customary with our reviews, we don’t hold back. We’re going to give you the good, the bad, and the ugly (if need be) like we always do. We never let sites pay us for a better review or a recommendation. What you’re going to read here are our honest opinions on what we feel about Asiandating.com. If you’re ready to hear our review of Asiandating.com, let’s get started! Getting signed up for Asiandating.com took us less than five minutes. You’ve got the option of signing up through your Facebook account or by putting in your basic information. While Asian Dating does have some extensive profiles with a lot of areas for you to fill out, they don’t require you to take care of filling out your profile right off the bat. We’re fans of this because if you’re like us, you want to see the site before you decide if you want to commit the time to fully filling out your profile. Why fill it out if the site is no good for you, right? If you do use the Facebook option to sign-up for Asiandating.com, make sure you take a minute and read through what information you are agreeing to share. We don’t think there is any risk whatsoever sharing it, but not all of what is pre-selected is mandatory. We always like to fill things out ourselves, but it’s totally up to you. 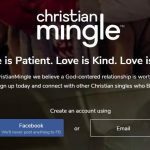 The site won’t post to Facebook on your behalf, so don’t worry about that if you want to save time during the sign-up process. Nope, all garbage. KIDDING! We are kidding. We have to have a little fun now and then to keep our sanity during these reviews. When we first went to Asian Dating, we saw a bunch of women from Cambodia and the Philippines. This would be great if we were living there, but we were searching from the United States. Before we wrote off the site for anyone in the Western hemisphere, though, we wanted to make sure we didn’t mess something up. As usual, we were guilty of user error. Once we went in and set our match criteria (that we skipped during the sign-up process), we were presented with plenty of high-quality options in our area. So, take this as a piece of advice when you’re checking out the site…make sure to set your match criteria before you deem the site worthy or not for you. When you log in, this is the screen that you are taken to. We’ve blurred out the photos and removed the sensitive information, but know that when you create your account, you’re going to see all of that information. We just assume that people might not want to be the stars of our dating site review. In terms of what people seemed to be looking for on Asiandating.com, it seems that a higher percentage of people than normal were looking for something serious. Almost all of the international profiles we looked at were looking for a serious relationship and hopefully marriage eventually. 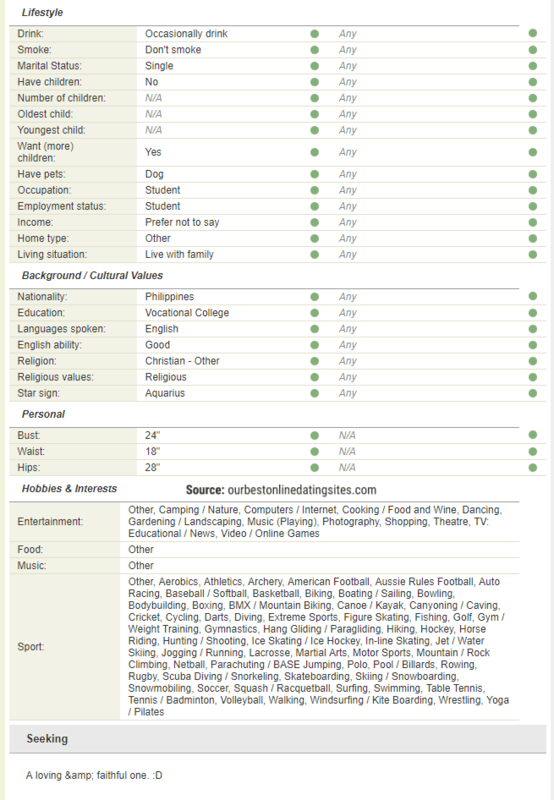 The domestic (US) profiles had a healthy mix of everything. There were some Asians looking for something serious, some looking for something casual, and some just looking to have some fun. Basically, regardless of what you’re looking for, you’re going to get a little bit of everything with this site (at least as things were at the time we last updated this review). Overall, we’d say that we were happy with the quality of the matches available on Asiandating.com. Thankfully, you don’t have to take our word for it. Click the free trial button on this page, and you’ll automatically be able to flip through the site on your own and see all of the matches in your area or abroad if that’s what you’re looking for. Overall, we found the site pretty easy to use. There were some things that we liked and a few things that we would like to see improved upon. Nothing that was a deal breaker, but things we’d like to bring to your attention with our review. First, let’s talk about the things that we liked during our review of Asiandating.com. The search function on the site is EXTENSIVE, to say the least. They have a basics section, an appearance section, a lifestyle section, a background and cultural views section, and a section for you to write out some information about yourself in your own words. You could spend quite a bit of time filling out your Asiandating.com profile which is a great thing if you’re trying to find someone that you really click with. The more information you can learn about someone, the better you can see if they are worth your time. Here’s what a profile looks like on the site. As usual, we have blurred out or removed the pictures and sensitive information. Additionally, there is ANOTHER page for “More About Me” with another 10+ questions that can be answered. 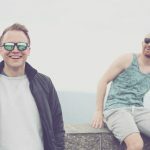 Overall, the site was easy to use, and we found everything “where we thought it should be.” There were a few things, though, that we would like to see the site improve upon. When you are using your free trial, if you want to see someone’s profile from the member dashboard, you can’t click on their photo. You have to actually click on the profile button, or else you will be prompted with this popup. 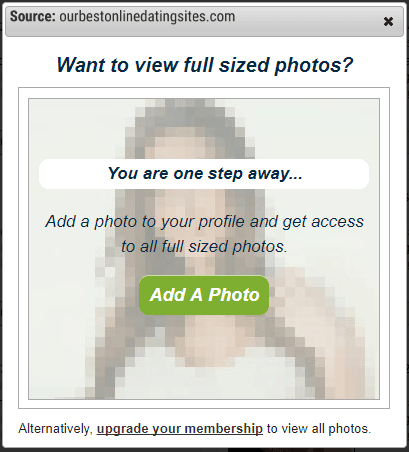 Basically, until you upgrade your account, you can only see their main photo full sized and the smaller ones you will only be able to see small. This is totally fine, but we just wish they made it easier to get to the profile. They’re still accessible; you just need to click the small profile button. Here’s where it is to help you out. To get this button to pop-up, hover over the person’s profile picture from the member dashboard. Additionally, you need to set your location parameters in order. You must set your country first, then your state, then your city, and then how far away you want them to be. This is something super small and something you’ll only have to deal with once, but it was something we wanted to point out. We’re pointing it out more to help you out if you are having trouble getting this information entered. Depending on your membership level on Asiandating.com, you will have access to different features. Here’s a chart outlining things for each level. We’ll break this down for you below the chart. 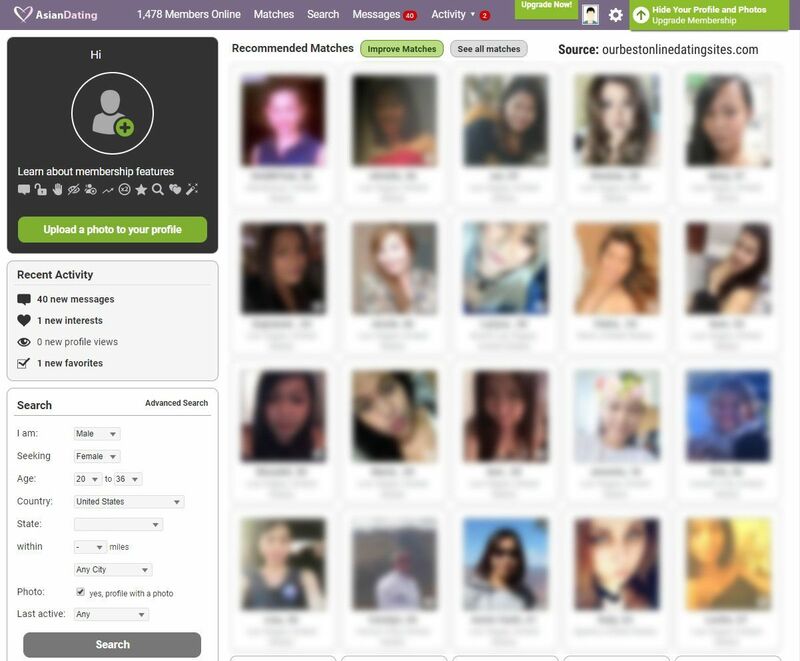 As you can see, there are three membership levels at Asiandating.com. Standard is your free membership, and then gold and platinum are your paid memberships. When you’re a free member of the site, you have limited options but you do have one thing that you don’t get at most sites. You have the ability as a free member of Asian Dating to respond to paid member’s messages free of charge. Yup, this is a huge perk for paid members and for free members. If you never get a paid account, you can still be reactive to people who reach out to you. You won’t get to message the people you want to, but you will be able to respond. If you do decide to become a paying member of Asian Dating, this is huge because ANY member of the site is someone that you can message. On some sites, only paid members can respond to messages which means you might message someone and never hear back because they don’t have a paid account. On Asiandating.com, that’s not the case. As you move up the membership levels, you get some more privileges. 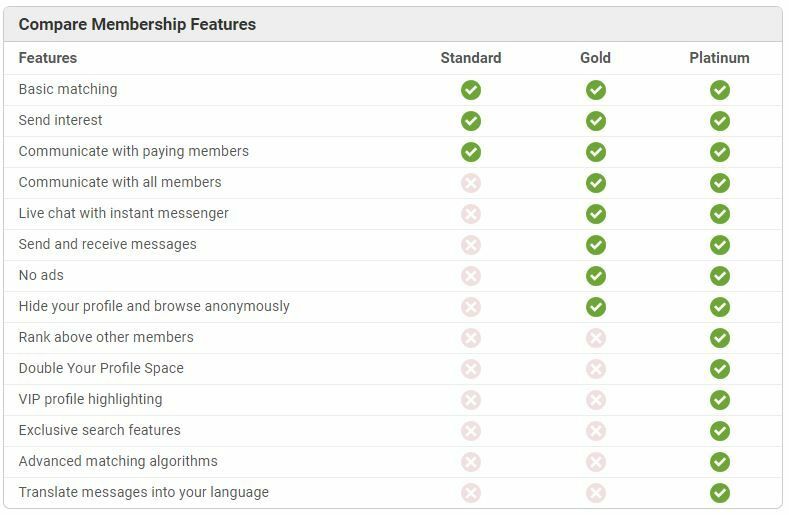 Gold membership gives you full messaging capabilities as well as the ability to hide your profile and browse anonymously. Platinum is the top of the line membership on Asian Dating and gives you a bunch of ways to get more visibility with other members. 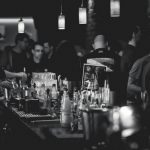 Honestly, we think that the Gold membership is plenty, but for only a few bucks more (as you’ll see in the cost section), it might be worth snagging the extra features they are offering you as a platinum member. Asiandating.com takes the cake in the customer support department. Not only do they have email support, an extensive FAQ section, and a web form of support, they also have phone support. Something small that we loved was that when you’re logged in and looking for the support numbers, they put your member number right there for you so you have everything you need to be ready when you call in. There is nothing more annoying than trying to contact support and having to dig for days to find your membership number and whatever other information you need to get the help you want. Great job on this one Asian Dating. Here is the full breakdown of how much Asiandating.com costs. At a price of $10 bucks a month for the Gold membership, Asiandating.com is significantly less expensive than most sites on the web. Usually with niche sites, we see them either way more expensive or way less expensive. As you might imagine, we are usually fans of the latter. 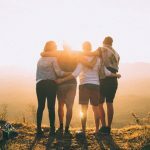 If you’d like to see a full breakdown of costs, payment methods, and what you get with each membership type, check out our dedicated Asiandating.com cost and pricing page. For only $10 a month, our requirements to classify a site as worth it drop. That being said, Asiandating.com met and exceeded all of our expectations. With quality members, an easy to use interface, and a price that should make you smile, it’s a clear “Yes, this site is worth it,” from us. We highly recommend you don’t take our word for it but click the free trial button below and take a look for yourself. Your free trial will be automatically applied and you’ll be checking out matches in a matter of minutes.